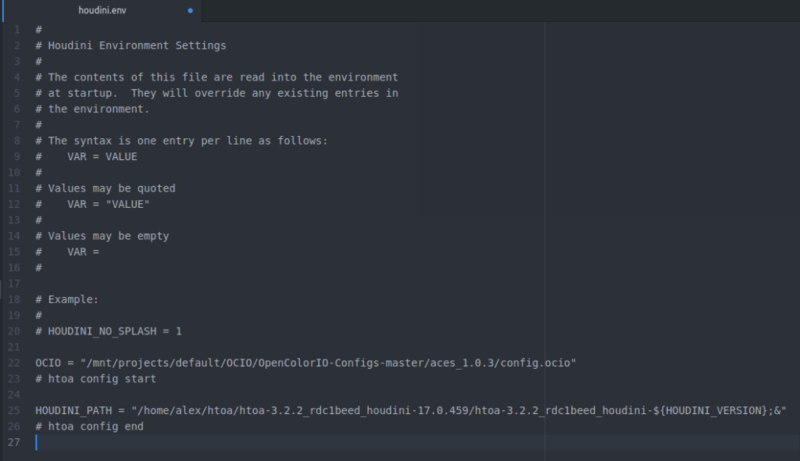 OpenColorIO – or short OCIO is a popluar way to manage colors across all variety of software packages. Essentially it is a way for you to ensure a unified color display across multiple software packages (instead of relying on Maya, Nuke, Houdini). It has been specifically built with visual effects and animation in mind, and initially been developed by Sony Imageworks. Nowadays it is available as an open source project, allowing anyone to take control of their color workflow, by adhering to the Academy Color Encoding System, more commonly known as ACES. 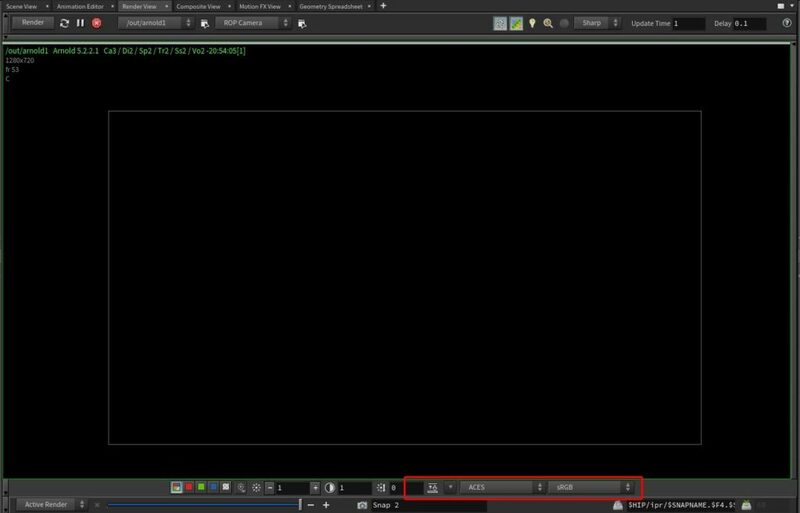 How do I set it up in Houdini? First of all, head here to find the most recent OCIO configs. You can either download the entire config at about 880mb, or just a specific one. 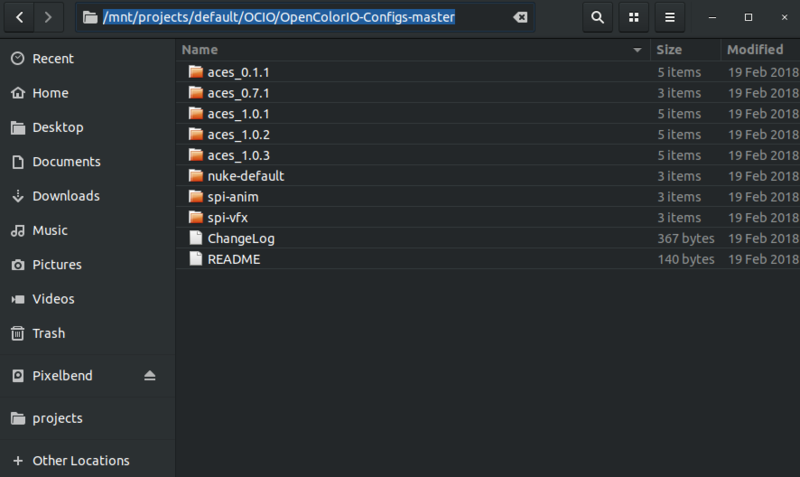 Unless your workflow is already based on the spi configs, I would suggest to use the most recent ACES version. You can see that it mirrors the repository 1:1. Next, head to your houdini.env file. The location of this file varies based on your operating system. Save the changes and start houdini. It should now greet you with a new display option in the render tab and within mplay. 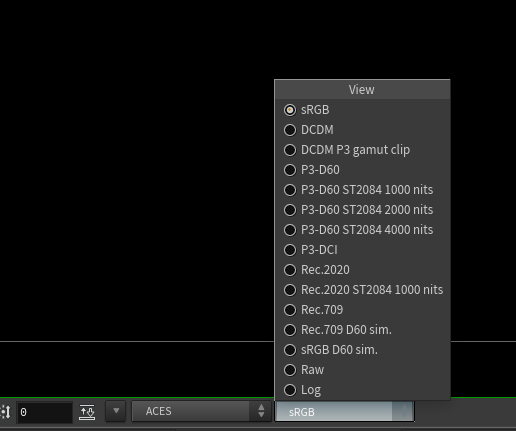 As you can see, Houdini has recognized the ACES config and now defaults to ACES/sRGB for its color interpretation. In most cases, this should be suitable for you, but there are many options! You might want to specifically match nuke’s color management, or prefer sony’s custom configs. All it takes is to change the environment variable to the location of that specific config. Easy! Just head to the very detailed github repository and to the OCIO website. Also check out further information on the ACES workflow. 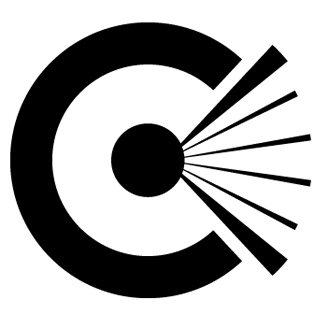 SideFX’s Wiki is also full of additional information!